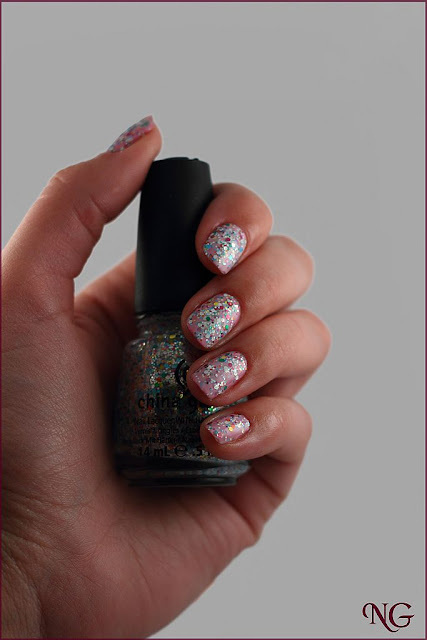 NailGlaze : China Glaze: It's a trap-eze! Today I want to show you my new favorite polish. 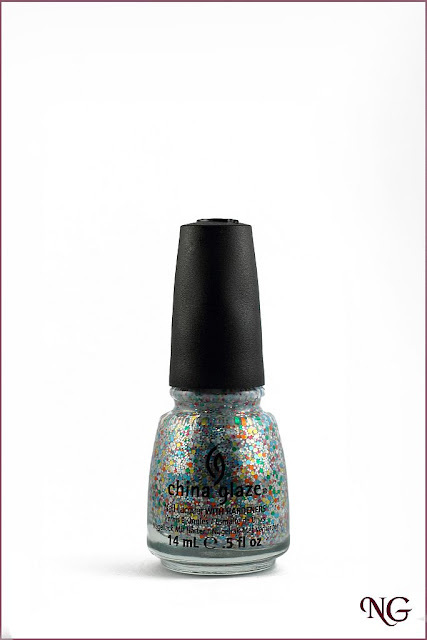 It is a China Glaze from the Cirque Du Soleil Collection: It's a trap-eze! and it's a glitter polish! 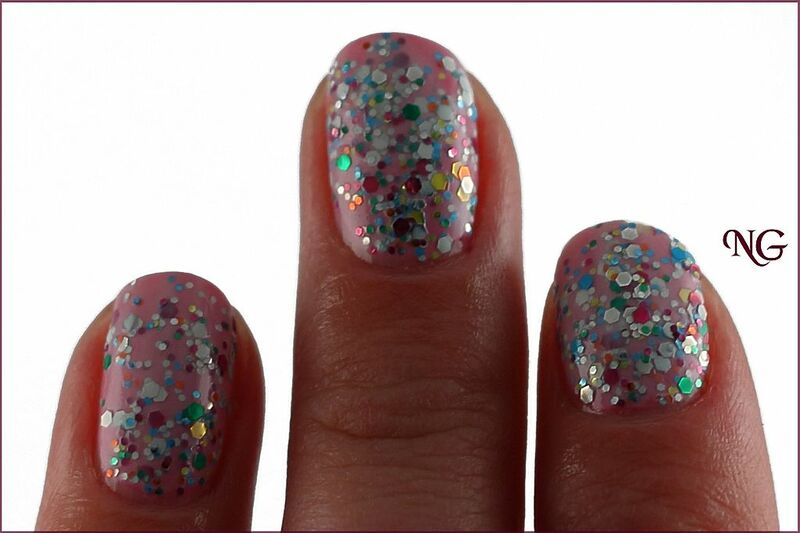 I find it interesting that the glitters aren't in a transparent polish but in a milky white base. 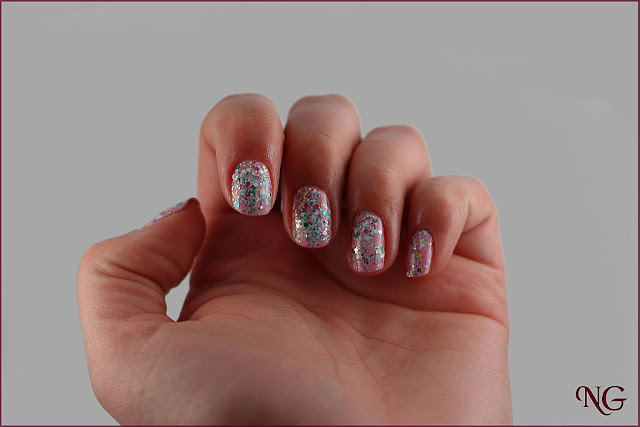 This gives a special effect to the glitters. They look less.... glittery :-). 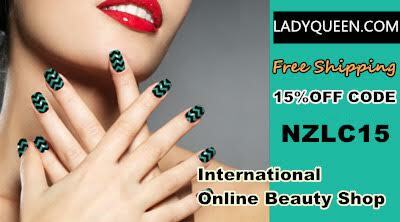 This way you can apply the polish directly on your base coat, no need for a base color. 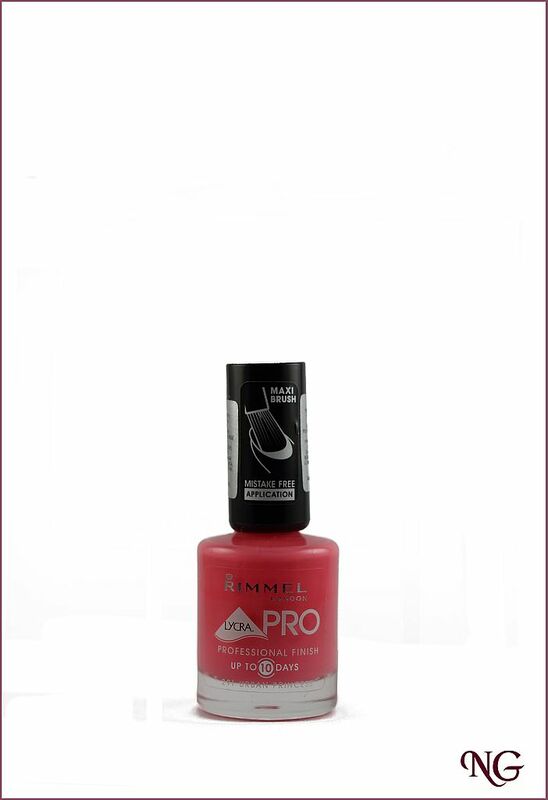 For these pictures I have used a pink base color (Rimmel Lycra Pro - Nr. 291 Urban Princess) but I have to admit that I liked the simple version better. The polish applies quickly and you will have plenty of glitters on your nails after the first coat. The first impression was that the polish dries a little slowly, but the second time I used it I haven't had this problem. 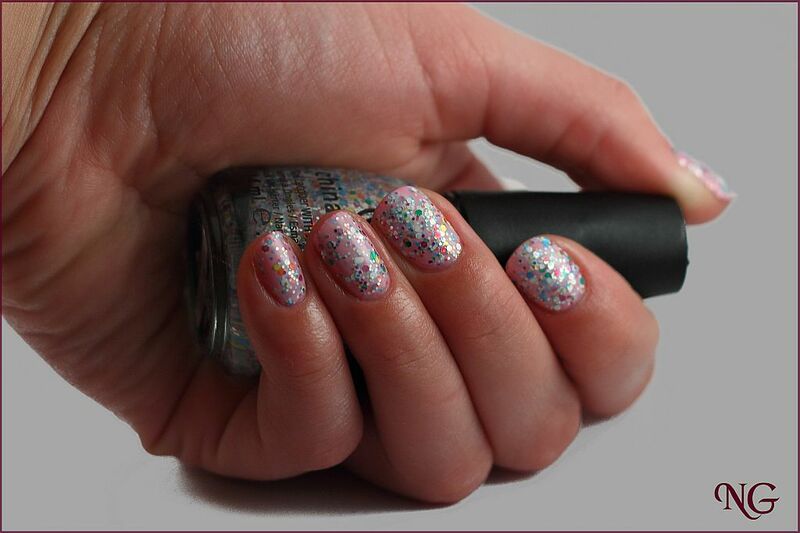 I especially recommend applying a top coat to protect the glitters. Some tend not to stick to the nail. 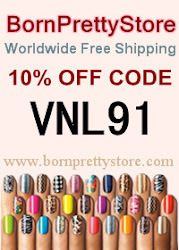 It is uncomfortable to wear and you might lose half of your manicure (I was shocked how my nails looked after I used a towel a few times during workout). Ce frumos e acest lac cu sclipici colorat!